Students will graduate with Bachelor’s degree from Wenzhou-Kean University, China and Kean University, U.S.A. The University introduces high quality educational resources from the U.S. comprehensively. The curriculum fully complied with American standards. More than 90% of the curricula are introduced from Kean University; and more than 90% of the faculties are either from Kean University or globally recruited. WKU uses a western teaching model, to emphasize on interactive instruction and group work. This is used to improve students’ capabilities to identify and solve problems independently and to think critically and creatively. The English Language Center helps students to be familiar with the English-only teaching style and English learning environment. Students can choose various academic and cultural exchange programs in Kean University (USA). Qualified graduates can take their master’s program in Kean Unviersity, U.S. directly. In terms of students’ majors and interest, they can participate in a wide variety of Extracurricular Activities, which help develop their leadership skills, creativity, team spirit and social responsibility. The virtual private network (VPN) allows students to access international learning resources, and the Library resources of Kean University. 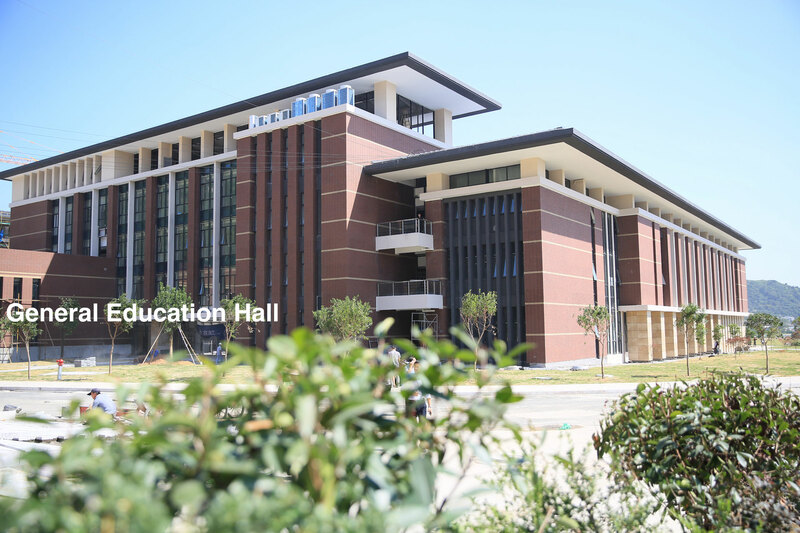 The school is located in the beautiful Flower Town of south Zhejiang. It is surrounded by mountain with a pleasant scenery view. Classrooms are equipped with advanced interactive electronic whiteboard and academic video management platform (MediaSite) that allows students to review classes at any time. The layout of students’ residence halls are designed in an American standard style. Each suite has two bedrooms and one living room. Students can choose a private bedroom or a shared bedroom for 2 people. The average area for each student is over 20 square meters. All of the residence halls are air-conditioned with 24- hours hot supply.